Canada's Prime Minister encourages the Muslim community to join opposition parties so that no party campaigns against Muslims. Canadian Prime Minister Justin Trudeau is promising to continue to welcome Syrian refugees and to strengthen the Muslim community's involvement in politics. “I think the way we do that is by getting involved in the whole breadth of the political spectrum in Canada. I’d like people to decide they’re more aligned with me and my party but they should also think about being active and aligned with parties that disagree with me on certain issues,” he said. 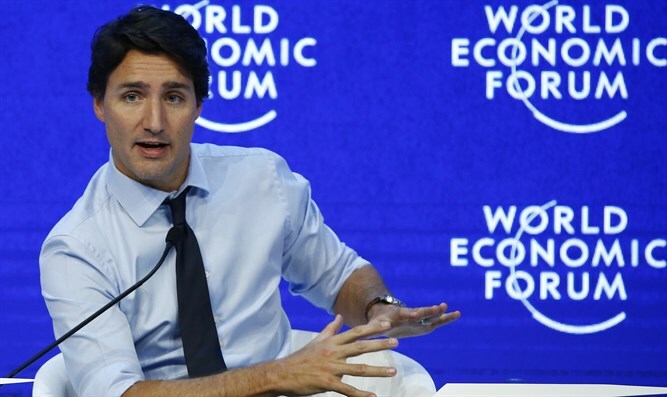 Since winning the election last year, Trudeau has taken the view that Islam is "not incompatible with the Western secular democracy." In more questionable behavior vis-a-vis the Hamas terrorist group, Trudeau appointed Omar Alghabra as Parliamentary Secretary to the Minister of Foreign Affairs. Alghabra was previously the head of the radical Canadian Arab Federation (CAF), which ran afoul of the state for its open support of Hamas. He also said earlier this year that Canada is not at war with the Islamic State (ISIS) jihadist group after French Prime Minister Manuel Valls said "we are at war" against jihadists.